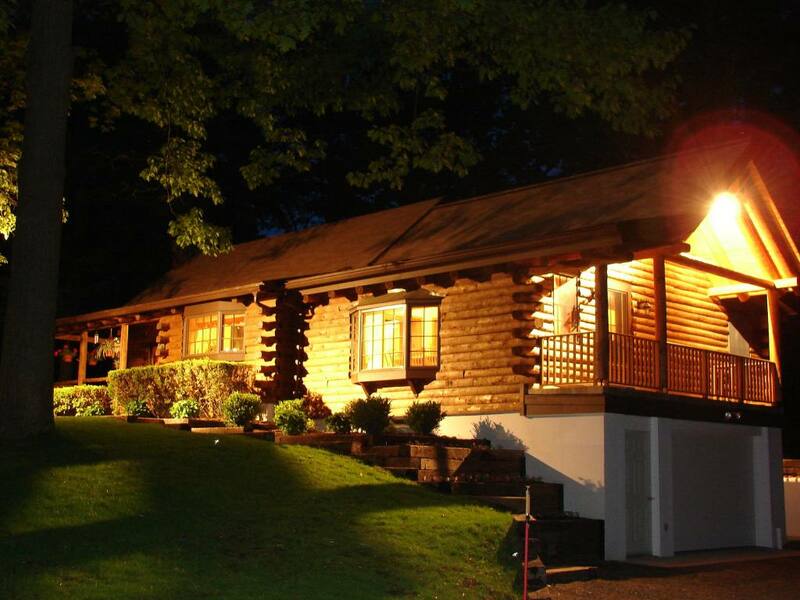 This 1700 square foot log cabin home located 10 minutes from the Taconic State Parkway rests amongst the trees in southern Columbia County. The home has completed a full scale renovation in early 2008. Comfortable in all seasons a wood burning fireplace provides extra warmth in the winter and the surrounding trees provides a cool shade in the summer. Unwind in the comfortable living room with cathedral ceilings and skylights. Or stay in touch with the seemingly far away real world with the HD satellite tv and wireless internet connection. When it’s time to call it a night a loft contains a queen and two twin size beds and the master bedroom contains a queen size bed. A shower is found in each of the two bathrooms while master bath also contains a whirlpool tub. While in the cabin relax to the sounds of your music being played through the speakers of whichever room you choose. Or if live music is what you are looking for, Tanglewood Music Center is within a 50 minute drive. The cabin also allows you to put your culinary skills to the test with a functionally designed kitchen and a gas bbq grill on the balcony. However, if you would rather admire the culinary skills of others the world famous Culinary Institute of America is within 45 minutes as well as many other highly rated restaurants. Also in the area are hiking trails, biking trails, ski resorts, lakes, The Rhinebeck Aerodrome, hot air balloon rides, many shops and boutiques, museums, and several golf courses.